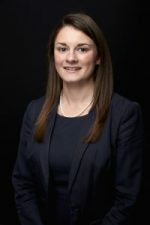 Prior to joining EEF 4 years ago Charlotte worked with livestock and then moved into food manufacturing where she focused on business development and food safety management. She gained her undergraduate degree from The University of Leeds in Biomedical Science before completing her Masters at The University of Nottingham. Charlotte will present the EEF 2017 Food & Drink Sector Bulletin, produced in partnership with Santander which covers how the sector is organised within the UK and it’s position across the globe, what’s driving performance and what the future might bring.